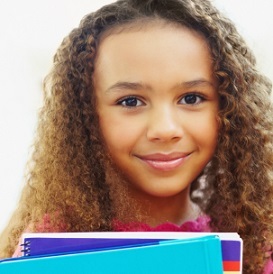 Are you ready for your child to stop struggling and start thriving in the classroom? We know that stronger brain skills make it easier to learn to read, understand math, remember information, think, and focus. Some parents have tried traditional tutorials or a commercial quick fix solution to address memory and learning challenges. But that hasn’t fixed the problem, because all they did was teach memorization or practice the usual- who, what, when, where, why and how- type of questions. There’s a tried-and-true science-based approach that actually works! Brain training. 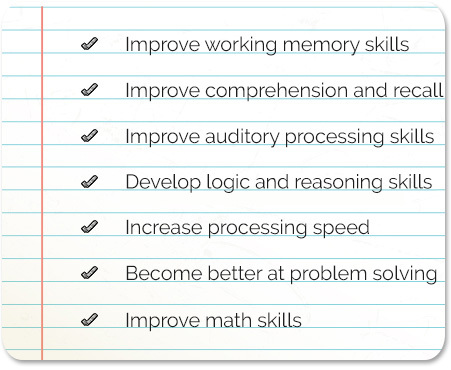 1-on-1 brain training is provided in our learning center in Fayetteville, GA or online. Are your ready to unlock the reading potential in your child? Our training is highly interactive and based on Principles of Neuroplasticity – the gold standard in science-based brain training methods. 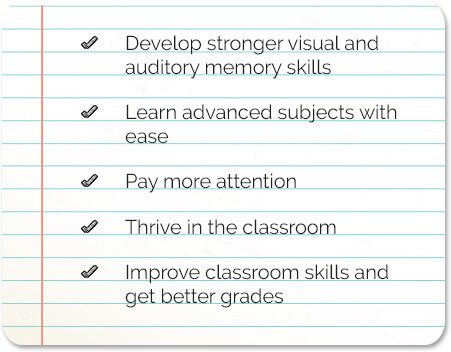 We teach in the easiest way for the brain to learn, so students can rapidly build a stronger brain and thrive in the classroom. Our training will prepare your child to perform at their potential as they progress from grade to grade, and beyond.. We use a proven approach to target and strengthen weak cognitive skills. If your child is struggling to learn or has ADD, ADHD, or Autism; we can help. Brain training targets the root cause of your child’s struggles. Our Brain Training System is designed to target and improve working memory, short & long term memory, attention, visual processing, and logical reasoning skills. These are the core brain skills that make it easy to learn, communicate, and think. Each student’s personalized training is structured, sequential, multi-sensory and engages the whole brain. Students use the skills they’ve learned to help them focus and learn curriculum content. The life changing results give them the chance to finally thrive in the classroom, learn to their potential, and make better grades. This means your son or daughter won’t get left behind. Your child will be more engaged and focused in class, start to look forward to taking part in classroom activities, and become more independent at doing homework without support. When your child has strong cognitive skills, it will make learning easier, allowing him to reach his academic potential and be able to make better grades. 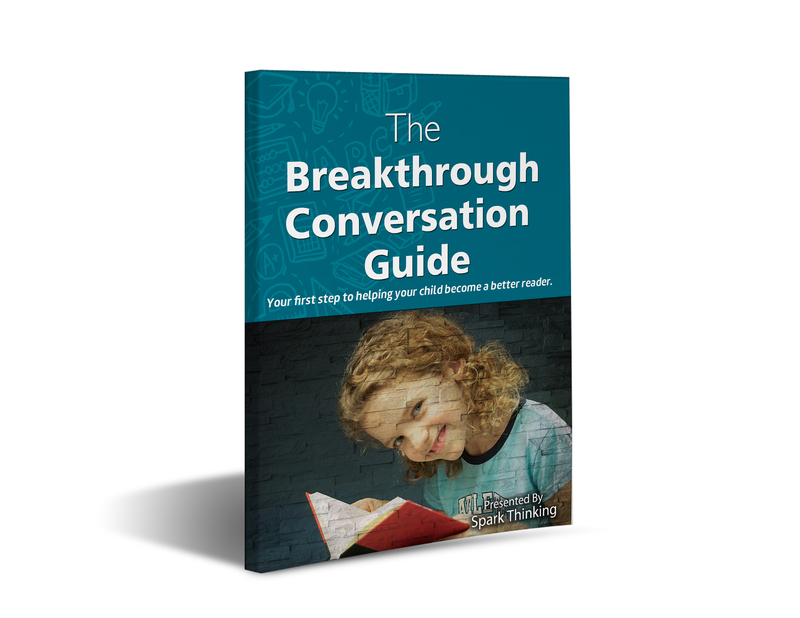 Ready to unlock your child’s true learning potential? 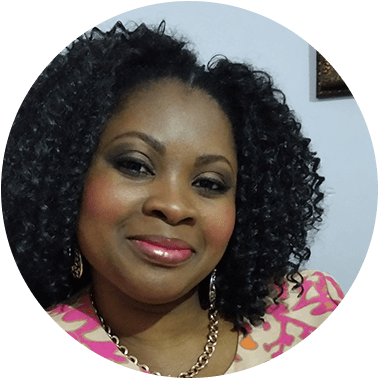 I’m Sylvia Adjeso, founder and instructor at Spark Thinking. I’m a teacher with 18+ years experience. 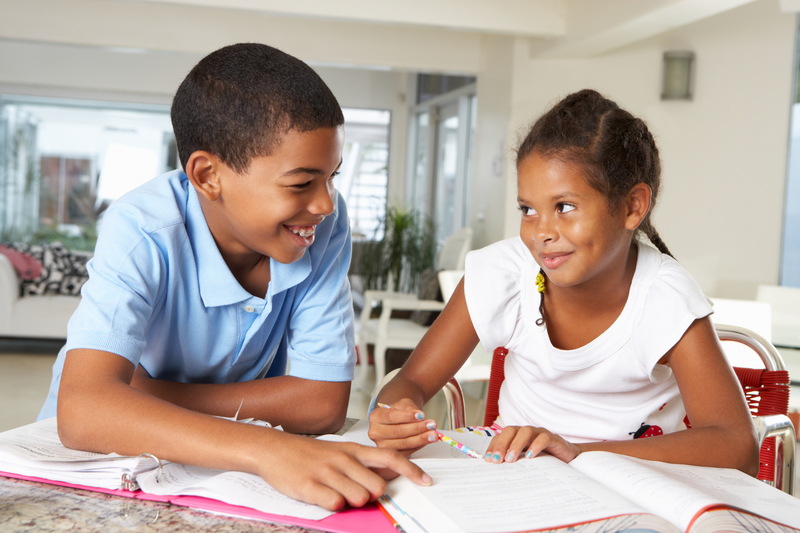 My goal is to give families access to the personalized, targeted tutoring that changed my brother’s life. When my brother was in Kindergarten he started struggling in school. My mom waited for his skills to improve, but it got worse. Then she looked to his teachers for help. Frustrated by the lack of resources, she spent several years trying to find the right school and the right instruction before it was too late. Our breakthrough happened when we finally found highly skilled educators who were able to pinpoint the underlying cause of his struggles. They saw his strengths and his weaknesses. They were skilled teachers, but more than that, he knew they really cared. After years of struggle, he started to thrive in the classroom. And not just for one year – but continuously. He is now a board-certified ENT Surgeon and a Lecturer. 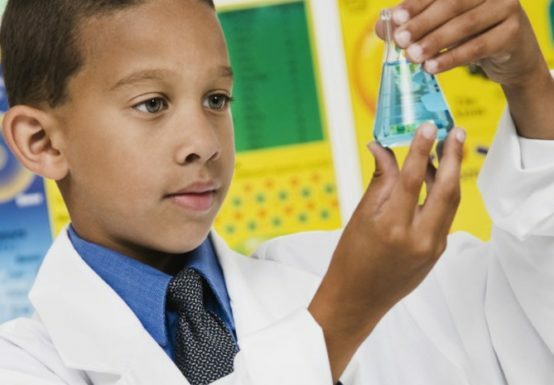 A personalized learning plan, 1:1 attention, science-based methods, a low distraction environment, and positive learning experiences allow students to thrive in the classroom, and beyond. Ready to help your child break through the challenges, improve his memory & thinking skills, and get better grades? Let's talk today!